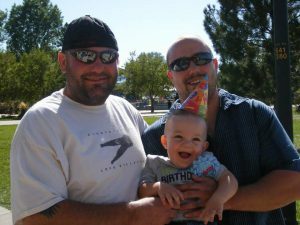 Accent Electrical Services, Inc. is mourning the tragic loss of one of our own – Dustin Peterson. Dustin perished in the Emerson Place Apartment Fire on March 7th, 2018. We are devastated by the loss of life and the injuries for all that were involved, as well as the impact on their family and friends. Our company is in contact with all associated agencies to assist in the investigation and determine what led to this catastrophic event. To Accent, Dustin was a valued leader and coworker, a dear friend, and truly a member of the Accent family. To his family, he was a treasured and caring son, brother, uncle and nephew. To all of us, he was a hero. Dustin was lost to a sudden and unbelievable catastrophe. Only God knows why he was taken from us so unexpectedly, but we believe he is in His loving hands now. In this time of overwhelming sadness and grief, and at the special request of his family, we would ask everyone to respect their privacy as they deal with their loss – and to please pray fervently for them. Dustin was also a part of our family at Accent Electrical Services, Inc. and we ask that everyone respect the privacy of our company as we grieve and recover from this catastrophe. We want to thank everyone for their support and could not be more appreciative and grateful to have the relationships we do in all our friends, industry partners, and general contractors at such a time as this. Rest in Peace, Dustin Peterson. Gone, but NEVER forgotten.